Studying abroad can in an unforgettable college memory but it can cost a lot of money. Keeping to a study abroad budget can be a lot of work, but it doesn’t have to be. 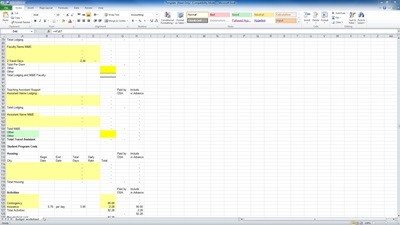 Using a free excel template you can keep track of all your expenses while abroad. We know that it can be easy to spend money when traveling, but with a free excel template, one can sort costs in categories: tuition, food, souvenirs, activities, etc. By looking at each category, one can see where their money is really going. This can help you keep a study abroad budget while still having a lot of fun.